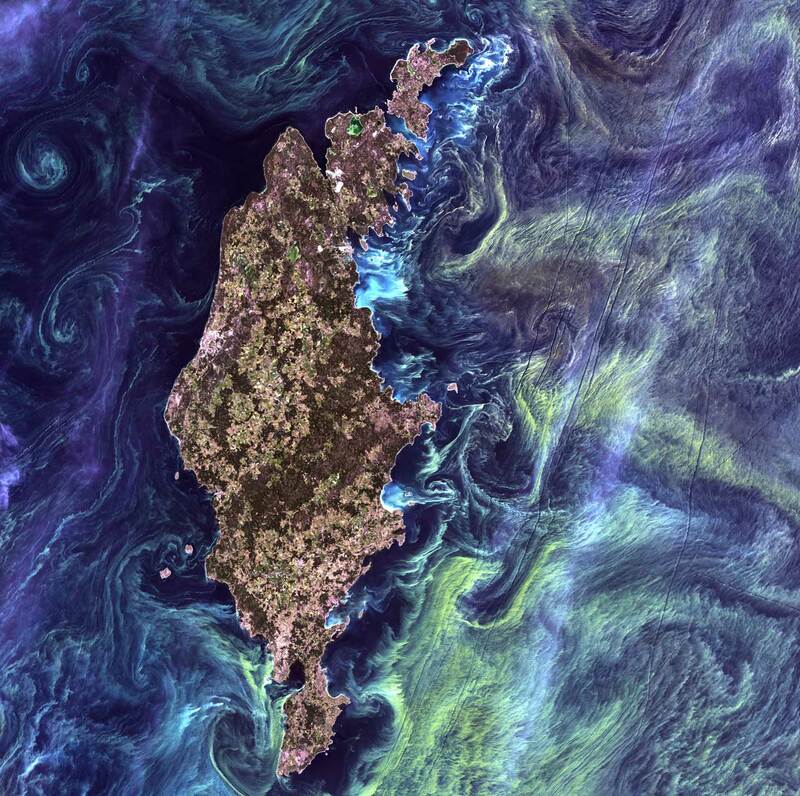 In the style of Van Gogh's painting "Starry Night," massive congregations of greenish phytoplankton swirl in the dark water around Gotland, a Swedish island in the Baltic Sea. Phytoplankton are microscopic marine plants that form the first link in nearly all ocean food chains. 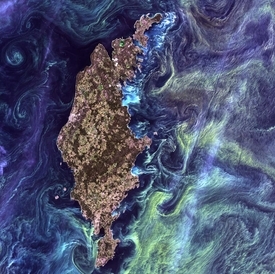 Population explosions, or blooms, of phytoplankton, like the one shown here, occur when deep currents bring nutrients up to sunlit surface waters, fueling the growth and reproduction of these tiny plants.